It is with great pleasure that I am bringing you Luca and Tasha. Beautiful German Sheppards that are our top Uneek Treats Tricks Bit tasters. Luca and Tasha came to us because of their food sensitivities. As with most dogs, the food and treats out there are just not the right way to go for their digestion. gave their Mom our website to read, she quickly gave us a call and placed an order. It was a test to see how they did and before we knew it, they ordered another batch. I was so pleased that there was a treat they could enjoy, I quickly asked for a picture and what tricks they did for their Uneek Treats. 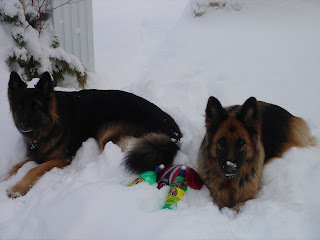 What came back was this wonderful shot with their personalized water bottles and a note explaining how they "snow" Mom into giving them treats just for being cute. Well, just because they are called Tricks Bits, does not mean one has to do a trick. Our tiny bite size pieces are perfect to reward your best pal for just being the best or for great behavior or for that fantastic catch they made. With our certified organic ingredients that are designs to enhance their diet, digest quickly and easily with maximum nutritional benefit and be kind to our earth, you cannot pick a better item to feed your kids or even yourself! Thank you Luca and Tasha for being our taste testers and being two amazing Uneek Dogs! A Testimonial That Will Bring Tears Of Joy! This wonderful story of Sandy was sent to me after I received an email asking after our Beagle Bites. Our bakery is moving and our treat supply just did not last through it all. Sandy was brought back to great health by the love and care of the incredible hearts and souls of Sandy's new family and Uneek Treats. I wanted so much to share this story with everyone. This story is the reason I started Uneek Treats and my passion for all of life to be cared for in the best possible way. What we do in life, will make or break another life. Every animal deserved respect and care. Sandy's time has come and you could not ask for a better ending! Please read and be warmed by this most amazing story and be ready to cry. Tears of love and joy ran down my face. Thank you for sharing with me, so I may share with others. I hope this inspires folks to take what needs to be cared for and do so. Sharing that around the world is how we build our Uneek Community! The best gift that a friend never gave me is the silky-soft, ginger-coated mutt who came into my family’s life like a dandelion puff blown by the wind. When I see our Sandy standing in the backyard on a sunny day, his fur radiating in ever-changing shades of amber, orange and even red against the bright green grass, it is a dazzling sight. Along with his great beauty, Sandy is the embodiment of gentleness and quiet contentment, a testament to his golden retriever lineage. Even in the direst of circumstances, our dog wags his tail when he sees me there with him. It’s in his large brown eyes, too, so focused and knowing: Sandy understands that he will never again be left behind. About fifteen years passed since our family had canine companions. It was, according to Mom’s declaration, “No more dogs!” when my dad’s tireless male mix was found rigid in the yard, soon followed by his lifetime female companion, a husky. We faithfully obeyed her edict… and found ourselves getting fishes, rabbits and a bird. But then we moved, and for many years did not have any pets. We didn’t think we missed anything. I first saw Sandy at a friend’s home, set in a relatively undeveloped area where people hunted and burned their garbage out back. Sandy was free-roaming and looked like a moving mound of matted, dirty reddish-blonde fur. He walked crooked, smelled funny, and was missing teeth, so I didn’t exactly run to pet this wino-doggie. To tell the truth, he frightened me. But Sandy came and sniffed me. I slowly put out my hand, and his welcome licks came without hesitation. Which led to my patting him, and soon I was smiling and falling in love. He was inquisitive and affectionate, but did not demand attention. I learned Sandy was between 13-16 years old and had a history of being deserted. Still, his chocolate eyes glowed with trust, made more beguiling with his thick eyelashes. He looked into my face and smiled. I sensed he knew all about me. “Poor boy,” I told him, “when’s the last time you had a bath?” His owner roundly dismissed me, saying Sandy had the whole bayou to bathe in anytime he wanted. By that time, Sandy and another dog lapped at the pond-water before bounding off again. How could I argue this dog wasn’t comfortable and happy? It wasn’t until a few months later that Sandy’s owner finally installed a fence, a begrudged admittal that my fears weren’t so foolish. The guy was traveling out-of-state for a week when a car hit Sandy. I later learned a neighbor, driving a big Chevy, was responsible. The owner refused to let me bring Sandy in for an exam, even at my expense. Over the cellphone, he justified Sandy’s suffering with, “He’s an old dog anyway,” but somehow expected the dog to get better on his own. If that didn’t happen, the owner said he’d shoot Sandy when he returned. I told him I’d take care of Sandy regardless of cost and energy, because I loved him. That day, three years ago this month, was my first day dog-sitting. It was also the day we quite informally adopted Sandy and began his medical care. X-rays showed his right front leg had fresh breaks in two places, and he suffered arthritis. We expected to house-train and walk him, but he got it from day one. Six weeks later, the vet removed Sandy’s cast. His bone was healing under the plates and screws and he quickly acclimated to being indoors. During that time, Sandy quietly watched us and we marveled at him, this sudden addition to our lives. We nicknamed him “Puppy” for his baby-face and soft, needy demeanor. Sandy started going to the vet for regular check-ups, dental cleanings and to manage his arthritic pain – surprisingly, and thankfully, his only major health problem. Our family noticed that although Sandy can be playful, he has never really played with us. Sandy was abandoned as a puppy for lack of hunting skills, so maybe he was busy just trying to survive. My mom, thinking of Sandy’s journey to find a home, wanted to give him the lofty name “Odysseus.” But “Sandy” stuck, and his coat, now full and silky, continually changes color from butterscotch to cinnamon-spiced pumpkin. His fur is the definition of lustrous; to run both my hands through its warmth is a delight of no end. I watch him exploring the neighborhood, and on the good days, he’s a fireball of stout heart and buoyant spirits. Even on his slow days, he gets more “Hellos” than I. With his irresistible face and temperament, we wonder how anyone could have ignored him. But then, too, we hear of pet dogs left in foreclosed homes, or those tossed for fun from an overpass. The cruelty man inflicts is an immutable element of every generation. I am 11 weeks old potty trained! And I can shake and sit. 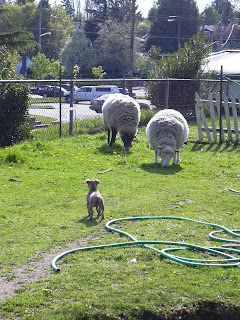 I am currently being fostered in Burien. 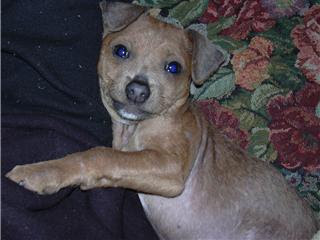 I came from Delano CA at 4 weeks old. 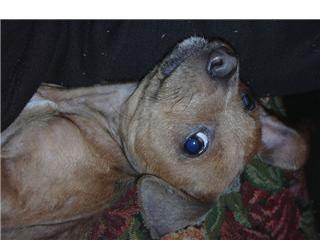 My mommy was hit by a car and I was found lying under her to keep warm. I was set to be euthanized until I was saved. I love life and will getting spayed soon. All you great parent out there come take a look at me. I am interviewing for my forever home.